When it is time for bathroom remodeling, you should always call a professional to have it done rather than trying to do it yourself. A successful project will usually have multiple elements, all of which have to work together. 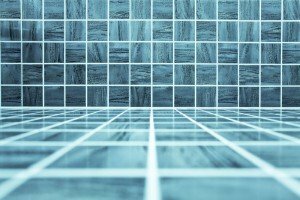 Do it Yourself or Hire a Bathroom Remodeling Service? To most people, home renovations such as when you want to remodel your bathroom, are just a typical everyday task. However, calling a professional service to do it is actually a better strategy. You probably have great taste, however, getting your idea from design to a bathroom remodeling project may have a huge disconnect. Some people simply lack the expertise to handle the intricacies that go into remodeling a bathroom, which is why hiring someone like us is usually the best way to go. Most bathroom remodeling professionals are accustomed to doing jobs based on very specific requests from their clients, some of whom have very discriminating tastes and unusual demands. Sometimes your bathroom remodeling is not that complicated, however, and you are certain you can manage it on your own. Unfortunately, time may not be on your side, and your only option, if you are adamant about doing the work yourself, would be to put off the bathroom remodeling indefinitely, or worse, have one bathroom down indefinitely. However, there is another reason why hiring us might actually be better. Essentially, how much money you could conceivably save. In order to remodel your bathroom on your own, you will need to have all the appropriate tools and equipment. Some of these things can cost more than you might think. You could end up spending hundreds, if not thousands of dollars on all of the tools that you will need. It is actually cheaper to call in a professional service as they have all of the equipment necessary for your particular project. Besides, even if the overall cost of doing the work yourself after buying your own remodeling tools matches that of a professional bathroom remodeling contractor, we have the experience necessary for the job. If your bathroom remodeling requires more than one person, we are your best option. One-man jobs are ideal for DIY projects, but every job that requires the use of additional labor certainly has some complexity to it that requires better planning and some level of professionalism. If you don’t think you can do the remodeling work on your bathroom without assistance, then it is probably not an ideal DIY renovation project. So, you would be better off leaving the job to Built By Grace. Like all professional contractors, we have all the labor we need and have teams that can coordinate a task properly. So, if you think your remodeling work is a little too complex to be a personal project, just let us take care of it. Redoing your bathroom on your own may give you some sense of personal satisfaction, but the feeling could easily evaporate when the work puts further personal demands on you down the road. To begin with, there is always the risk of making some mistakes, which might require extra spending to have them fixed. With Built By Grace, however, such mistakes would not cost you a penny since we always stand behind our work. . Built By Grace knows how to implement your desired tastes. If you are having trouble deciding how to approach your bathroom remodeling with regard to things like the best choice of materials, or configuration of major elements within the bathroom, then you would be better off consulting us. Avoid regrets later on. There is more to bathroom design than the average person knows. We deal with such issues on a daily basis, and are better placed to know how best to pull off certain design looks perfectly. Even if you do not involve us every step of the way, we can offer on-site advice and make sure that you get full satisfaction from your bathroom remodeling job. But for the record though, we have a LOT of great ideas from simple installations to complex and elegant bathrooms. So whatever bathroom remodeling project you want to do from installing a rain shower, to new tile and grout, Built by Grace can do it for you. So remember, your time and your money are both very precious. Sometimes, simple bathroom remodeling projects look simple on paper until you start seeing various bad things start to happen. First off, your costs start to go up. Next, your time starts getting eaten away. You find that you’re frustrated, annoyed and irritable. And then one day it all hits you. You’ve wasted time and money and your project is still not even close to being done. All of this could have easily been avoided by calling Built by Grace for bathroom remodeling in Phoenix.